“It will get easier.” Now, eleven years later, I can say that yes, in some ways it has. My Dad’s death is no longer one of the first things I remind myself of when I wake up, nor is it the last thing I think about before I fall asleep. But it has been 4,019 days, and I still miss him. April 22 is a constant reminder. I still have days and weeks when it’s just as painful as it was eleven years ago, and I still have moments that make my head spin, today will always be one of those days. There are several things in particular that almost always trigger one of these moments and force me to quite literally say hello to my grief. There have been countless occasions when I’m watching a movie, TV show, or listening to a song and something hits me. A line or situation sticks out, reminding me of my dad in some way. Suddenly something’s different; there’s a pang of sadness, a feeling of nostalgia, or a flood of bittersweet sentiment. Sometimes this moment is brief and I bounce back immediately. Other times, I feel the tears rushing to my eyes. There’s something incredibly bittersweet about accomplishments, knowing that my dad’s not here to enjoy them with me. Hands down, one of the hardest things that has come with losing Dad is the occasional realization of how much time has passed and here we are eleven years later. Birthdays, holidays, and other milestones are all reminders. There are days when I feel like it was just yesterday that he was taken from me, other times, I feel as if it has been a lifetime. 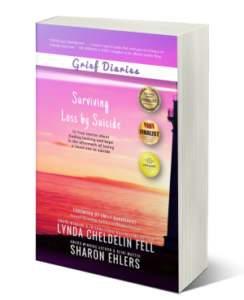 Many people who have not lost someone to homicide mistakenly believe that it’s something you will get over, or that you’ll have some sort of closure. However, the truth is, I still hurt eleven years later. It’s not a constant, overwhelming, consuming grief, but the little things within which grief hides hit me when I least expect it. Take a good look at the photo and for the love of life please give no less than 100% of your attention when driving. Life can change in an INSTANT. There are no second chances. Drive safely and responsibly. The presumption of guilt starts at 0.08%. Responsibility starts at 0.00%. Written by Carl Harms. 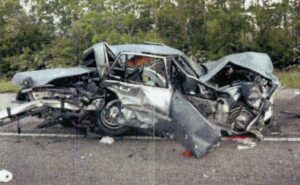 Read Carl’s full story in Victim Impact Statement, and Surviving Loss by Impaired Driving. An inside look at how Discovery Channel’s coverage of Carrie Singer’s murder has impacted Carrie’s family. Featured guest is Carrie’s mother, Patty Lord, victim advocate for the national nonprofit Project Cold Case. How do I describe my mom? She was a bundle of contradictions, especially toward the end of her life. My mother was born to a very poor farming family in upstate New York. She was the kid who literally got one pair of shoes a year and put cardboard in the bottom when the soles wore out. This led her to be determined that her children would never be without the desires of their hearts. She was generous with those she loved to a fault. I used to say that I had to watch her finances because she would be the little old lady eating cat food while she paid for her children to dine on filet mignon. My father worked for the United States Government. We, my parents and four siblings, traveled the world and got to experience things that many dream of. I watched my mom entertain ambassadors and foreign dignitaries with an ease that would have put the finest event planner to shame. She always reminded me of Jackie Kennedy Onassis. She dressed like her, had amazing poise and seemed to be flawless in her ability to make everything look easy. Memories of fine china and white linen are as ingrained in my childhood recollections as Barbies and Match Box cars. Mom was simply magnificent when she was in her element. My father died in 2001 from pharyngeal cancer. It was slow and ugly. 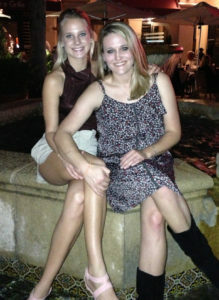 My oldest sister and I made a pact during that time. Our motto was “no regrets.” Looking back, I have none. I was there constantly for my dad; my world stopped that year. When it was time to say goodbye, I was holding his hand and there was no doubt in my mind or in his how deep our love for the other was. In retrospect, I was afforded that luxury because Mom was once again doing her Jackie Onassis impression and keeping everything running flawlessly. We supported her and dad, but she was definitely the backbone. I hated what happened that year, but I have no regrets. I wish I could say the same for my mom’s passing. People loved mom, but she never fully trusted their loyalty. She was always sure that she was not up to the standards of others. Her self-confidence was frighteningly low. 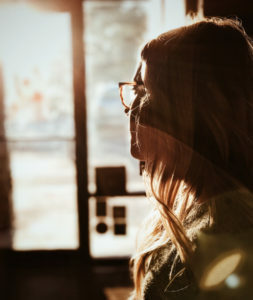 She masked it well most of her life, but toward the end, as her filters began to fade, I saw how the fear of what she perceived others’ opinions to be had removed much of the joy from her life. It was a shame because it was all self-induced. As I said, people loved her; she just did not allow herself to be vulnerable enough to be fully loved. In June 2014, I received a call from my oldest sister saying she thought mom had had a stroke. I threw some clothes into a suitcase and immediately began the twelve-hour drive to my mom’s house, while my sister began her nine-hour drive. It was the beginning of the longest seven months of my life. Mom had indeed had a stroke and would require extended hospital and post-hospital therapy to recover. Again, my sister and I made a pact, no regrets. I can honestly say that from that point on, Mom was not alone for one single day until she died on January 21, 2015. We battled through stroke recovery, which is a story unto itself. One must experience it firsthand to even begin to understand the trials that accompany stroke recovery. We were two weeks away from Mom being able to live independently when she took a small fall. Due to the blood thinners she was on, we went to the hospital for a precautionary check-up. They found lung cancer. After consulting with specialists, looking at Mom’s overall health and mental state, we decided to go with an intense five-day radiation plan known as CyberKnife. Mom did fantastic. Although we would not be sure of the results for six months, we felt very confident and went into the holiday season with high hopes for the future. Thanksgiving and Christmas went by with no glitches. We were happy and had a house full of children and grandchildren. It was a happy time. My sister came to my home to stay with Mom so I could go on my annual family vacation between the week of Christmas and New Year’s. We wanted Mom to go with us, but she was just not prepared for the amount of “go time” we experienced. Our family squeezes a lot into that week. When I got home from vacation, Mom came down with a cold which turned into pneumonia. It was time to go back to the hospital. Mom was in the hospital for about ten days. She was released to a rehab hospital to regain strength and walking ability. I was confident she would overcome this as she had every other battle. I was wrong. Monday, January 20, 2015. I was heading to the rehab after school. I was staying there so I could be close to Mom. I got a call saying she was being combative and disoriented. I got there and found her bed had been lowered to the floor so she would not be able to fall out of it or to climb out as easily. My guts screamed to get Mom to the ER, but the nurses assured me it was just digestive and they were taking care of it. After a half hour of watching her hurt, I looked her in the eyes and asked if she wanted to go to the hospital. She nodded yes. The nurses argued with me, and I ended up telling them that they could call the ambulance or I would. Mom arrived at the hospital around 11 p.m. I remember thinking I should call my husband, my kids, someone. But I knew I needed to be alone through this. I didn’t want to have to console anyone else. Although the doctors kept telling me that my mom was going to be fine, there was one nurse who was brutally honest. I looked at him and asked if I should call my siblings. He said it wouldn’t be a bad idea. One of my brothers and one of my sisters made it in time. The other two did not. I hold guilt that I should have called sooner. That night has some of the worst nightmares of my life. I can’t tell anyone about them because I don’t want them to have the same images in their mind that I hold in mine. It was not a peaceful passing. I hate myself for some of the things I did. I excuse it by saying that I thought I was saving my mom’s life and doing what the doctors said, but it does not change the fact that I participated in the pain and fear my mom felt before she died. No amount of self-talk takes away the pictures that are on a constant loop when I close my eyes. Written by Sophia Blowers. Sophia’s 79-year-old mother died of internal bleeding in 2015. 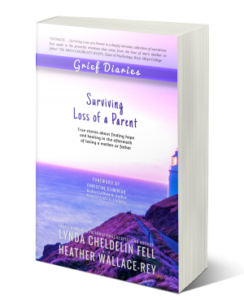 Read her full story in Grief Diaries: Surviving Loss of a Parent. 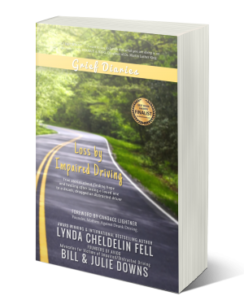 Can you find hope after loss of a spouse? Michele Neff Hernandez lost her 39-year-old husband Phil in a cycling accident in 2005. 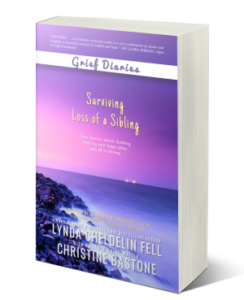 Faced with darkness and hopelessness, she set out to find out how other widows survived. This is her story. 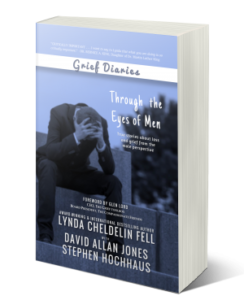 Grief…….you never know when the emotions and deep aching wounds will surface. 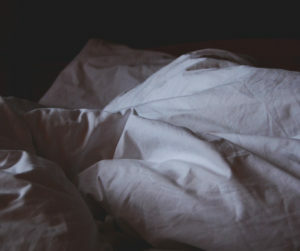 They are always there, sometimes lingering just below, just far enough down that you are able to keep the tears from falling and your breath from catching in your throat. But it is there. 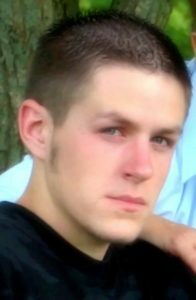 Tonight while coming home from work, I drove by the ponds where Brandon used to hang out, and I thought to myself, he is 22 now, he wouldn’t be hanging out there anymore. None of his friends hang out there anymore. They are all grown up, in love, making a different life for themselves with their mates, they all have full time jobs. And I thought my Brandon didn’t get to get any older, he will forever be 17. He wasn’t able to build a different life. He won’t ever find his woman for life, or have kids….he never got to mature. I don’t even know what he would look like today at more than 22 years old. Driving by the ponds caused these thoughts and emotions, and I am still crying more than 5 hours later. Brandon, how I wish you were 22 years old. How I wish you were with your lady for life, having that career you dreamed of, doing the things you planned. How I wish I knew what you would look like today. Would your voice be deeper, your laughter richer, your hugs tighter? Would you be a father? You always loved kids. And I think, can I do this without you Brandon? How can I live without you? How can I live, when you aren’t? God, I miss you, Brandon. Written by Kim Thomas. Her 17-year-old son Brandon was killed by a drunk driver outside Calgary, Canada, in December 2012. 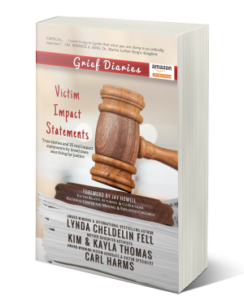 She shared her story in Grief Diaries: Victim Impact Statement.